Home Slimming Should you unfriend sugar and say hello to fat? Should you unfriend sugar and say hello to fat? We’ve been told we all have dormant cancer cells in the body. However, others say differently. “Everyone has cells that have mutant proteins from DNA damage, but to say that that’s cancer, would be alarmist,” says Jennifer Loros, Ph.D., a professor of biochemistry and genetics at Dartmouth medical school. One thing is certain, tests show cancer loves sugar. A cell has a natural cycle of living and dying. It’s an intelligent organism by itself with checkpoints. Cells can determine whether it’s in a healthy state and if it should divide (mitosis), or if it is damaged and should repair or kill itself. It has its own repair system and works in particular with other cells such as (adult) stem-cells which we already have in our body. When testing for cancer, Positron Emission Tomography (PET Scan) can be used to see which organs or tissue has cancer. The patient is injected with glucose (sugar) solution that contains a very small amount of radioactive material. This is absorbed by specific organ being checked. Since cancer cells use more glucose than normal cells, the PET scan is able to detect where the cancerous tissues and cells are. We get our daily energy from glucose or fat. To avoid cancer or restrict it, the key is to shift our metabolism from burning sugar into burning fat instead, as a source of energy. Dr. Don Colbert, who shared his findings at the Jim Bakker Show, discovered that cancer cells have difficulty using fat as food. 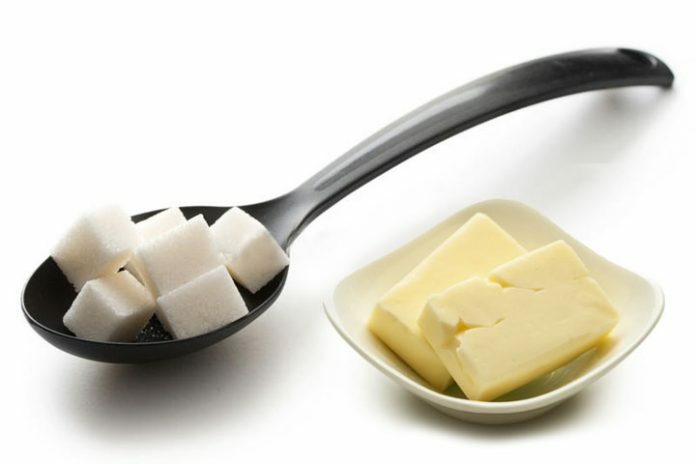 If cancer cells can’t find sugar, what’s left is to use fat. Daily fat intake should be limited from 30 to 100 grams per day. Overconsuming fat is equally bad. You can balance your fat diet by following a Ketogenic diet, a new wave that seem to be working for many. While white or brown sugar at home is difficult to get rid, you can consume up to 37 grams (100 calories) of sugar per day, says the American Heart Association. Glucose and fructose (found in preserved sweet processed products) on the other hand should be a no deal. Recent study show they are best buds with cancer.